Appaloosas are a uniquely American breed with a rich heritage. Credit for the evolution of the colorful spotted breed is given to the Nez Perce tribe of the Pacific Northwest of the United States. As access to horses (abandoned by the Spanish) spread across the United States in the 1500s, the Nez Perce tribe became known as excellent horsemen. In time, the availability of horses changed the tribe's way of life as they improved their herds of quality horses with unique spots. 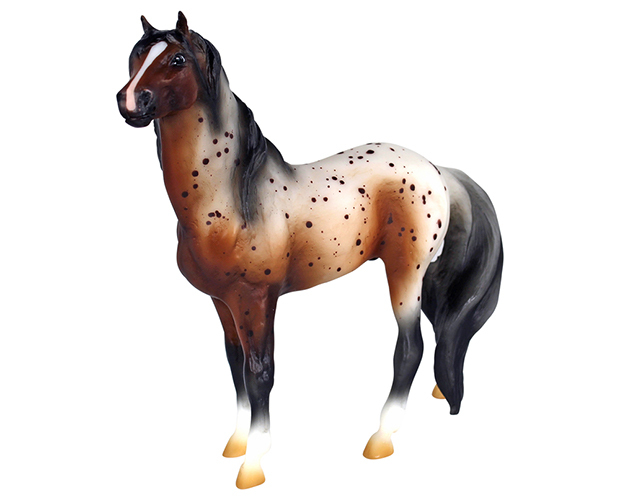 The name Appaloosa is thought to have evolved from tribes located near the "Palouse" River in Idaho. These stock type horses were prized for their color and temperament. Today they still are and Appaloosas are popular as family pleasure horses and show horses, competing most often in Western disciplines. 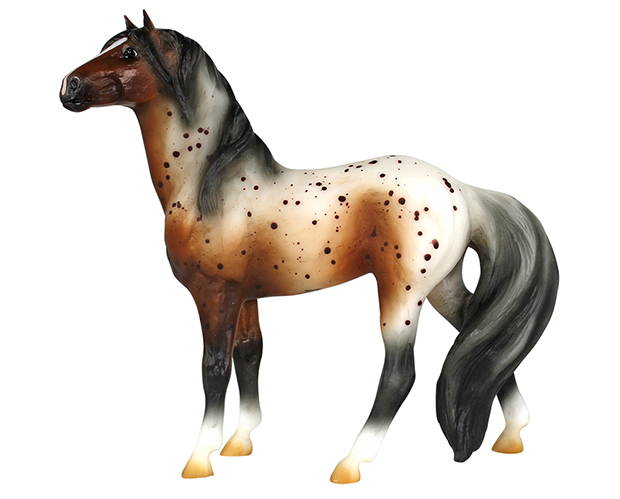 Breyer's #925 Bay Appaloosa Mustang is captured in the Mesteno Mustang Mold. The MesteÃ±o mold was introduced in 1992 as part of the Messenger Series and has the linear "Â© Breyer Reeves" stamp only. 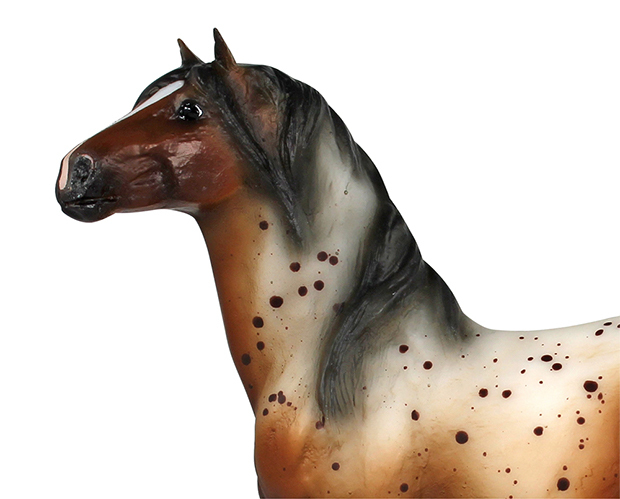 It was sculpted by Rowland Cheney and is Breyer mold #480. 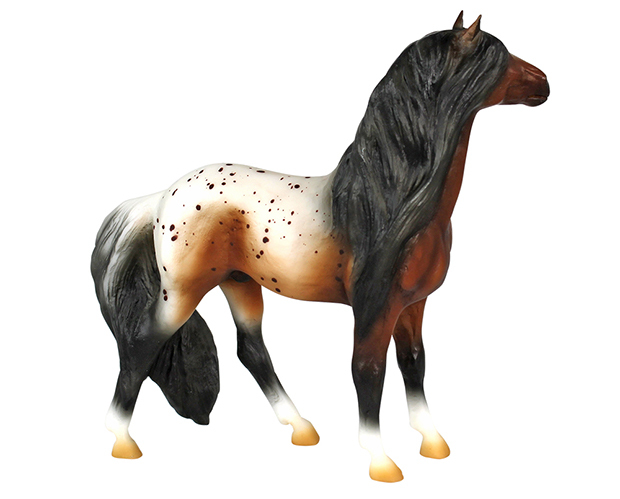 Appaloosas are hardy horses that make excellent stock, pleasure, and trail mounts. The Appaloosa is known for its uniquely spotted coat that comes in many patterns. 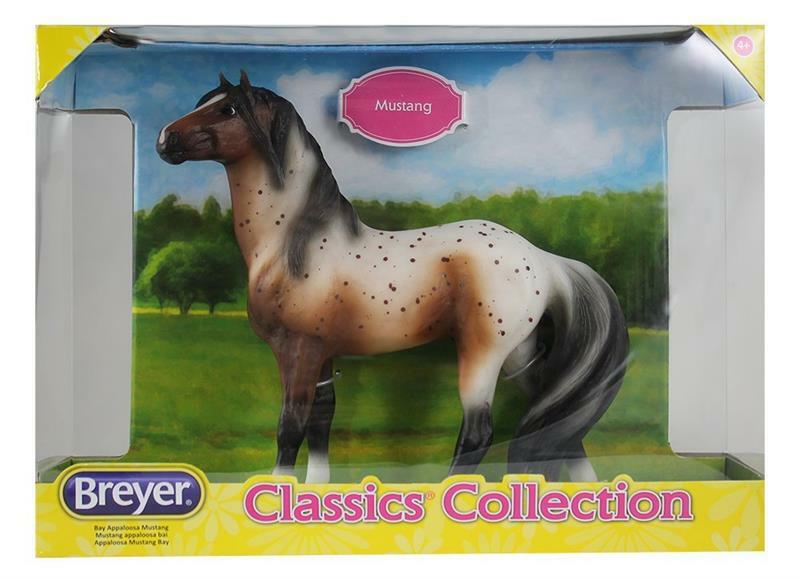 Breyer Horses Cloud's Encore gift set features 4 wild mustang models: Cloud, Encore, Feldspar, and Mato Ska.